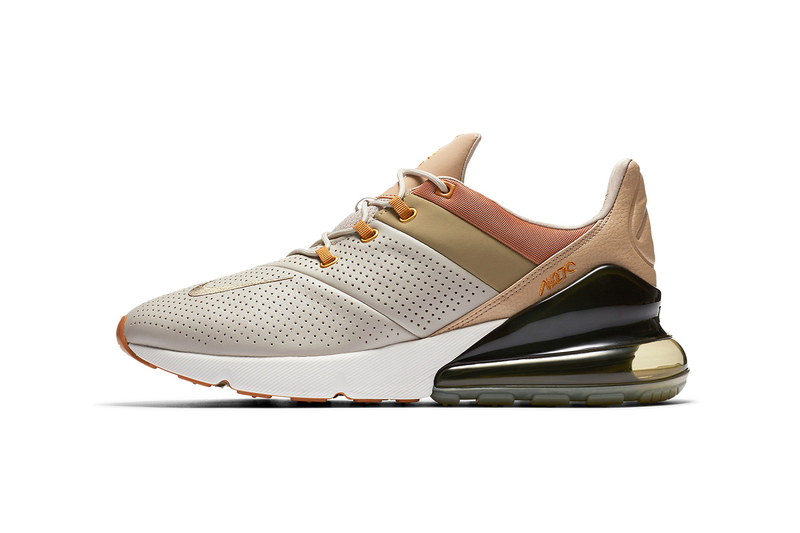 The Nike Air Max 270 has received another look. One of the Swoosh’s most recent models has gained popularity thanks to its engineered mesh and Flyknit iterations. Now premium leather joins the material selection with perforated panels wrapped around the upper’s toe box and midfoot areas. Smooth leather and canvas are added around the ankle collar with a tumbled effect incorporated onto the heel. “Air” branding is added to each medial side with the large Air Max unit returning to the heel. Alongside more artworks that explore the relationship between religion and art. It could arrive by the end of this year. “BEELZEBUB;” mashes up militaria with tailoring.